When it’s time to hire a roofing contractor, you want to be prepared. Whether your roof needs new shingles or storm damage repair, you want to work with the best roofing company in Orlando. If you know which questions to ask and what to look for, you can enjoy the peace of mind that comes from hiring a roofing contractor with confidence. These seven tips can help you choose the best roofing company for your job. 1. Get Plenty of References – Reputable roofing companies are always happy to share references. Be sure to ask about their older work, and talk with previous customers. 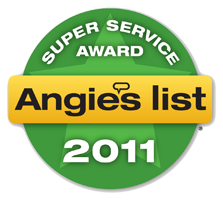 Check online ratings at established sites like your local BBB and Angie’s List. Friends and family are always good resources too. 2. Verify Business Information – Business cards and websites should always include a physical address as well as a business license number issued by the state of Florida. Confirm this information with a little online cross-referencing. Make sure that the company is insured and bonded. 3. Always Ask Questions – You want to hire a company that openly communicates with you from your first meeting through the bidding and contracting process. A reputable roofing contractor is comfortable answering your questions about everything from industry credentials to professional experience. 4. Make Sure That You’re Protected – Talk with a prospective contractor about warranty specifics including manufacturers’ warranties on materials and the contractor’s warranty on workmanship. Determine how much protection these assurances give you and for what length of time. 5. Beware of Lowball Bids – A contractor’s low bid might be based on reduced overhead and access to industry discounts, but low numbers might indicate a plan to use cheaper materials. Ask why a bid is low, and be cautious if you don’t get detailed answers. 6. Understand Your Payment Options – An established residential roofing contractor won’t ask you to pay for the full job in advance. Discuss how much is expected at what points during the project and whether you can pay by check or credit card. It’s best to avoid companies that insist on cash. 7. Expect a Clearly Worded Contract – Your roofing estimate / contract is a detailed overview of all work to be done, and it should be easy to understand. Make sure that it includes a description of materials, start-up and completion dates and payment amounts with dates due. Never sign a contract without carefully reading it first. Choosing the right roofing contractor requires a little homework, but that time pays off because you know that you’re investing in quality materials and solid workmanship. Mid Florida Roofing, has been answering homeowners’ questions for more than 15 years. Our prices are competitive, and we put professional pride into every job. Our estimates are always free, so give us a call today at 407-830-8554 or fill out our online form for a free roofing estimate.